Personalized Pocket Knife . . . Make It The Way You Like It! Are You Looking For An Adventure? . . .
Personalized Pocket Knife . . . It doesn't get anymore personalized than making it the way ya want it. Have you made a fixed blade knife yet? Folding knives can be a little trickier, but you can do it . . . I just know you can. You don't have to bite off a full fledged multi-tool affair. Maybe even just one blade to start with. Maybe I can help you line up all the holes for the handles and, with the help of my CAD program, we can get the rotation action perfect . . . we'll make it perfect, I say. Having a good CAD drawing is a big advantage when you have multiple blades rotating in and out. Will your locking mechanism work? Sure it will work, but will it be tight and snug, or loose and sloppy? This is where the CNC Machine Programming will help. Let me help you cut out your blades, and maybe even the handles. Together, we can make sure everything lines up perfect. Perfect, I say. Are you looking for your personalized knife to be a personalized switchblade? I don't know if there is a law against making them, but . . . In many places you will find it illegal to carry in your pocket. Typically a folding knife that is going to make its home in your pocket, will not want to have an automatic release mechanism, and will not want to have blades longer than a couple of inches. And it will not want to be a butterfly, or gravity knife. I don't know, maybe you just want the challenge. Am I capable of making a knife with a spring, or snap action? You say, "It's not going to be my personalized pocket knife, if I can't make it the way I want it!" Ok, you decide . . . just don't carry it in your pocket! Now I'm starting to sound like an attorney. I am not an attorney, and I am not giving you legal advice. Just thinking out loud with you. 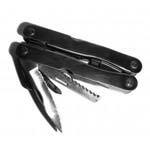 After all, one of the greatest advantages of a folding knife is the safety factor. The blades fold away, to protect you from accidently getting cut. They are also very, very convenient. So, unless you have this driving need to figure out a spring action for your blade, let's just get on with the business of designing and making your own personalized pocket knife. Maybe you are in to Personalized Birthday Gifts, or gifts for any other occasion for that matter. Learning How to Make Knives, is a great way to personalize. By the way, you can always harness that creative need for figuring out the spring action by figuring out the lock action instead. You won't even know the next question to ask until you take that first step. Get Started! For ongoing tips and information on Custom Knifemaking and related processes, Subscribe to our Newsletter, "A Cut Above the Rest!" Click Here! to Subscribe, top left.